I remember a while ago I had a request to post more salad recipes. 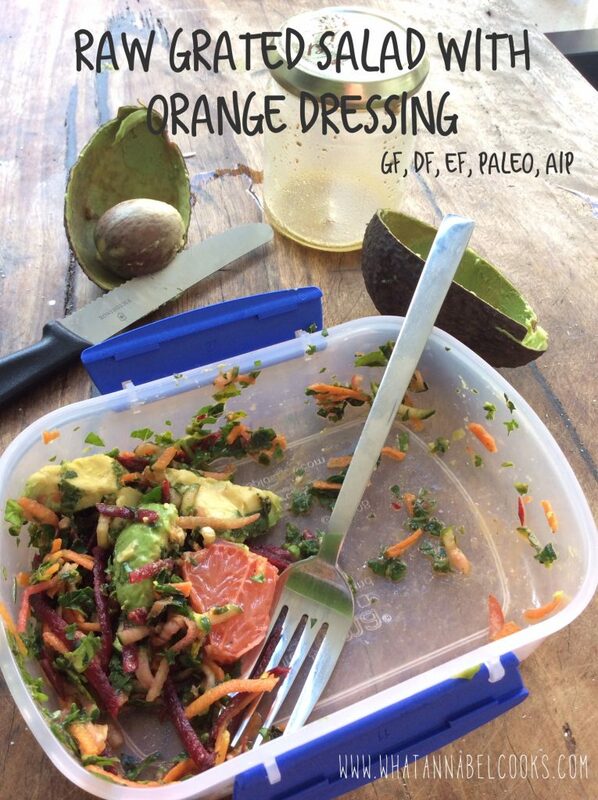 I think now that Spring has sprung in sunny Brisbane, Australia, it feels much more like salad weather and so, I’m finding more salad inspiration again! 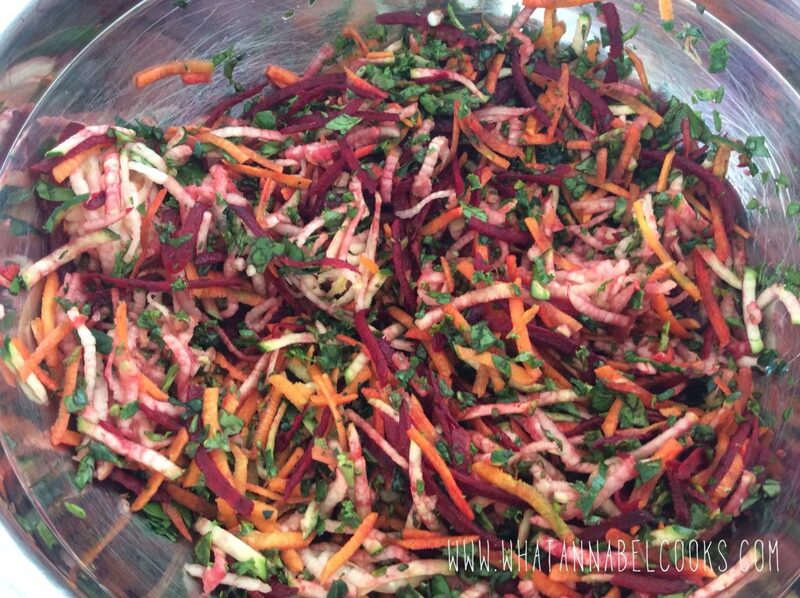 I do find that grated salads are a good way to eat a larger amount of vegetables and they are colourful too, which is visually appealing and they say it’s good to ‘eat the rainbow’ to get a variety of vitamins & goodness! 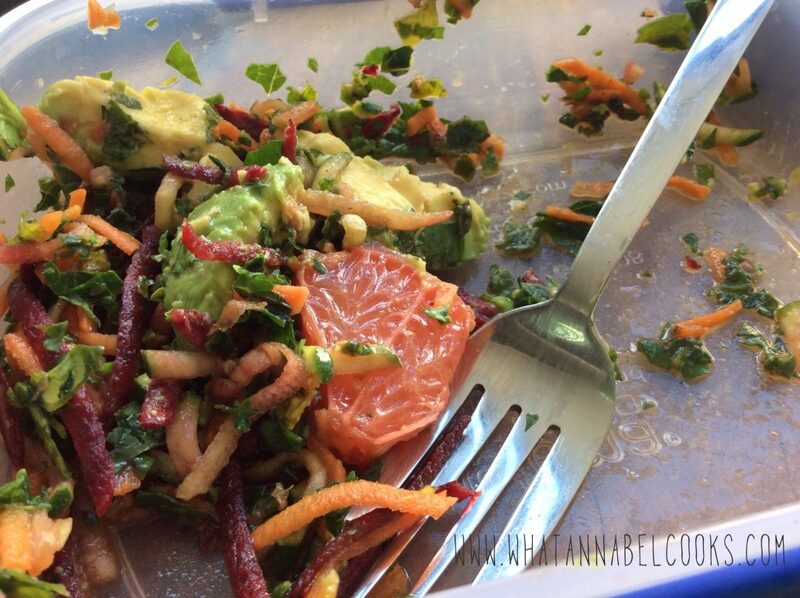 There are many variations to this salad depending on what’s in season/you have in your fridge. A few toasted pepitas, sunflower seeds and/or chopped nuts would be nice on top too (unless you want the AIP version). 1. Grate beetroot, carrot, zucchini and apple. 2. Finely chop or blitz in a food processor, kale and spinach. 3. Mix all vegetables in large bowl. 4. Cut skin off grapefruit and dice, stir through salad mix. 5. Top with diced avocado and dressing. In a small jar shake together all dressing ingredients, adjust to taste.